At the pressing phase, we work to optimise robotic pressing lines and depalletizers. At the fitting or sheet metal working phase, we apply the expertise we have acquired in the installation and operation of robotic systems and assembly lines. At the painting phase, we work to improve preparation lines, central control systems and supervision. Finally, at the assembly phase we can offer the benefit of our expertise in handling lines and robotic assembly and binding systems. 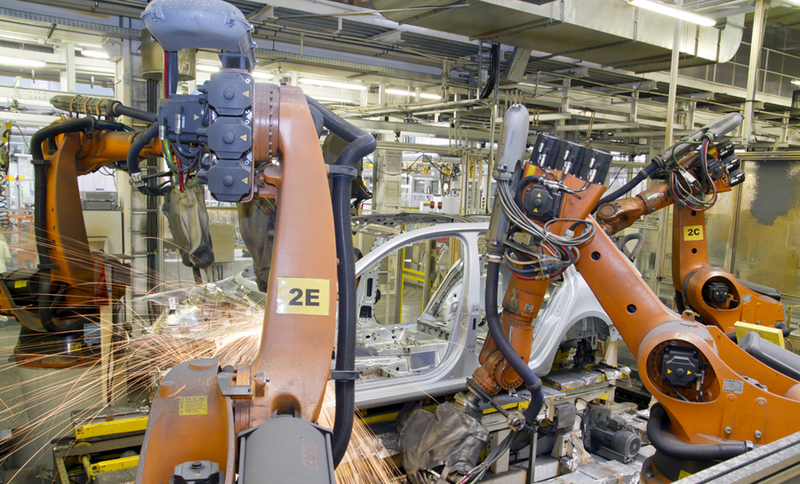 The car industry is a major field in which OET has developed a prove expertise in the integration of electrical, automated, robotic and pneumatic solutions. This expertise is your guarantee of reliable processes, honed by years of feedback. Thanks to our multi-faceted expertise and intimate acquaintance with the applicable industrial standards, OET can tailor solutions to your needs and offer a comprehensive service spanning from the initial design phase through to installation and launch. Don't hesitate to get in touch with our dedicated Automobile manager for more information on our services. Preliminary work: project diagnosis and tailored advice, in order to determine the perfect solution for your exact requirements. Project execution: a dedicated contact will head up a project team charged with overseeing your order all the way through to final installation. Robotics: preliminary studies, 3D simulation and integration of robotic applications.